Friday 22 February, students are invited to join our first Day Trip of the Spring 2019 semester. Oxford is, of course, most well-known for hosting the oldest English-speaking university. Claims to fame include “The Eagle and Child” Pub, where authors JRR Tolkien and CS Lewis hung out; the use of Bodleian, New College and Christ Church College architecture to create Hogwarts in the “Harry Potter” movies; and its control over the English language (dictionary, anyone?). Walking through Oxford also gives you the chance to see the headwaters of the River Thames, long before it becomes the massive waterway cutting through London. Choose a category and complete the social media reflection challenge to earn a Passport Stamp ! Sport, Wellbeing & the Environment: What are some iconic sports around Oxford? Post your answer with a photo or two on Instagram with the hashtags “#oxfordsport #londonpassport” and tag @syracuselondon. Social & Political Justice: What did you do in the Covered Market? Post a pic of your lunch or a souvenir with a note about supporting local businesses on Instagram with the hashtags “#buylocal #londonpassport” and tag @syracuselondon. 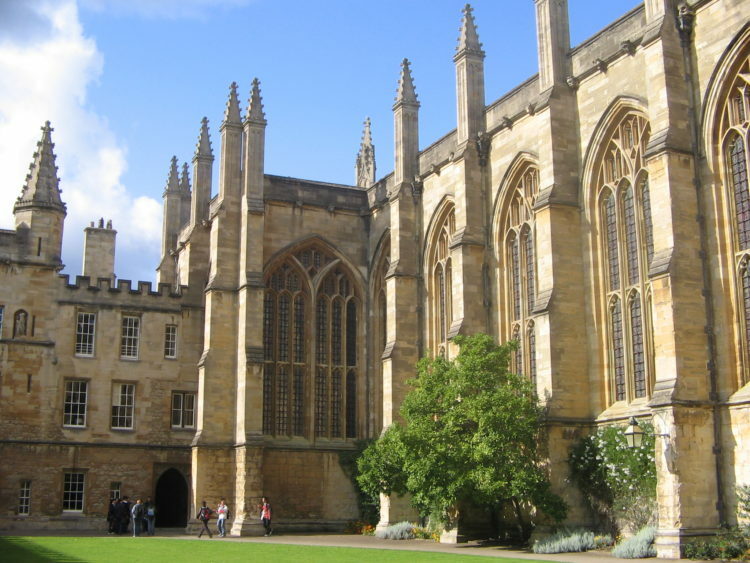 Global Professional: What struck you most about the College System at Oxford? Reply to the Twitter thread here. Art, Architecture & Heritage: What was your favourite building in Oxford? Tweet a photo and fun fact about the space with the hashtags “#oxfordarchitecture #londonpassport” and tag @syracuselondon.